Today is our 2nd giveaway for the 1000 Follower Celebration! - shipping is free in Canada! 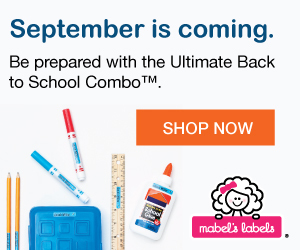 One of you will win an Ultimate Back to School Combo (worth $42)! Don't miss yesterday's Pick Your Plum Giveaway! And by the way, there's something pretty cool going on over at Pick Your Plum today- don't miss it!